Let's take a walk in the park and search for catkins! We will cut a few branches and take them home. 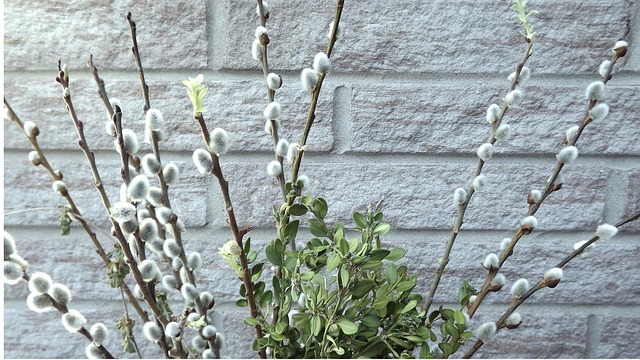 Let's decorate the house with catkins! Look, how furry they are! Would you like to touch those fluffy white blossoms? Catkins are one of the symbols of Easter. On Palm Sunday, they bless palms and catkins in church. You have to scatter the seeds on the cotton wool and add a little bit of water. We have to water the cress everyday so that the cotton wool stays wet. Look! The cress starts to grow! Look, how fast it's growing! 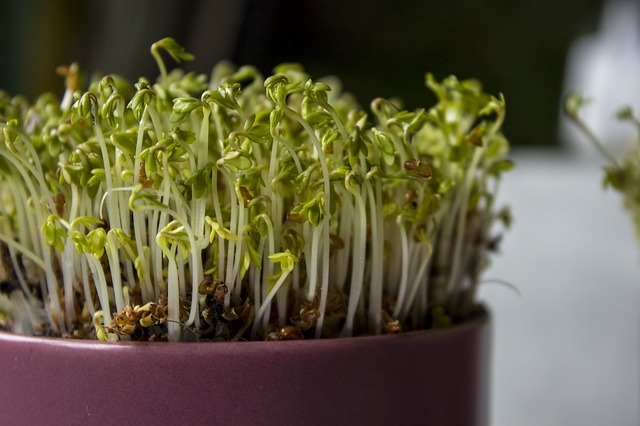 We can add some cress to our sandwich, it'll taste yummy. Would you like to try? There are some eggs hidden in the garden/house. Grab your basket and look for them! I wonder if you find them all! Let's check behind those trees/chairs. 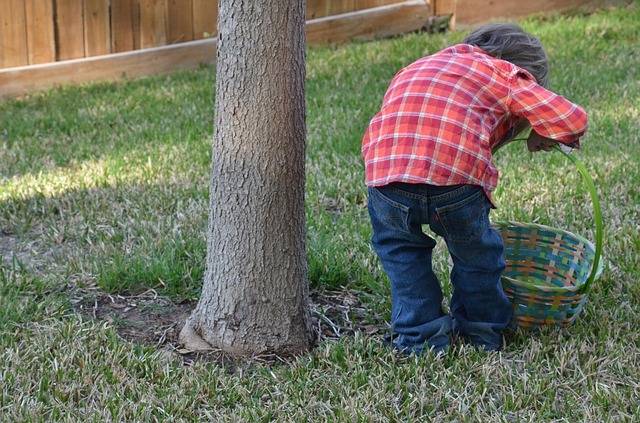 Have you found all the eggs? I wonder where the other eggs are. Let's prepare Easter egg shells. Let's use a nail to poke a hole on top of the eggs. I'll show you how to blow out an Easter egg. Now, let's dye the eggs. Now, we have to let them dry.